Discussion in 'Comparative Religion' started by Kim Rounsley, Feb 12, 2019. As a Catholic, I have only been exposed to what my religion thinks. I am curious as to what others that are not in my faith think. We Mormons have differing opinions to you guys on the idea of the trinity. I have heard that to you the Father, Son, and Holy Spirit are are one God in three forms. we, however see the three as distinct individuals who have distinct differences. They think together as one, though. Hi Kim and welcome to RF. 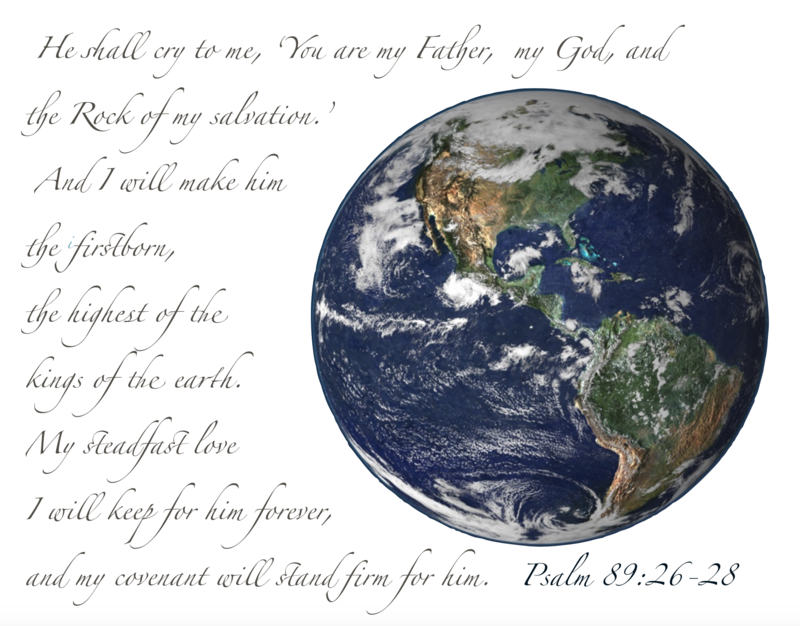 The Baha'i Faith believes in a Creator God and is monotheistic. We see that our God has provided the inspiration for all the Great Faiths including Judaism, Christianity, Islam and more recently the Baha'i Faith. A triune God can appear to somewhat contradict monotheism. The Trinity is not mentioned at all in the New Testament but arose in the 4th century through the Nicene Creed. Muhammad advised that it would be better not to use the word Trinity. The Baha'i Faith sees merit in exploring the close relationship between Jesus as Son of God, the Father and the Holy Spirit. However the Nicene Creed and doctrines concerning the Trinity are not part of our Faith. Hindus have no view on the Christian trinity. Outside our paradigm. In Islam the Holy Trinity is considered idolatry. Particularly calling Jesus God's son is very much objected to for various reasons. For istance in that God does not need a son and on that it makes Jesus as a prophet much different from other prophets. While in Islam all prophets are equal. They have still the same God as the Christians so I'm not sure what to say say about the nature of God. the spirit of god, and the son(created) of god are; along with god, are the three. god the father(originator) is greater but all 3 are relevant. basically god is the cause, spirit is the force, and creation is the result. I am curious as to what others that are not in my faith think. the Source of the Effulgence, and the Effulgence, and the Recipient of the Effulgence; the Illuminator, and the Illumination, and Illuminated." "All the people have formed a god in the world of thought, and that form of their own imagination they worship; when the fact is that the imagined form is finite and the human mind is infinite. Surely the infinite is greater than the finite, for imagination is accidental while the mind is essential; surely the essential is greater than the accidental. Therefore consider: All the sects and peoples worship their own thought; they create a god in their own minds and acknowledge him to be the creator of all things, when that form is a superstition -- thus people adore and worship imagination." "That Essence of the Divine Entity and the Unseen of the unseen is holy above imagination and is beyond thought. Consciousness doth not reach It. Within the capacity of comprehension of a produced reality that Ancient Reality cannot be contained. It is a different world; from it there is no information; arrival thereat is impossible; attainment thereto is prohibited and inaccessible. This much is known: It exists and Its existence is certain and proven -- but the condition is unknown." Comparing Athanasian Christians (aka Trinitarians) with Christians in the Church of Jesus Christ of Latter-Day Saints (LDS Christians). The Father is 100% divine. The Son of God, Jesus Christ is 100% divine. The Holy Spirit is 100% divine. The Father, Son, and Spirit are all without beginning nor end. The Father is not the Son, nor vice verse. Neither of them are the Spirit. The Father, Son, and Spirit together are 1 God. LDS Christians believe that the Father, Son, and Spirit are 1 God through unity. Athanasian Christians believe that the Father, Son, and Spirit are 1 God through a shared substance. My personal view is that studying the Bible reveals more scripture that disproves the trinity than supports it. There is no trinity in the Bible unless you interpret certain passages in the Bible to "suggest" that its true. There are so many Bible verses that prove the trinity is false.....e.g, Jesus said that "The Father is Greater than I am". (John 14:28) If they are both "God" then that cannot be true. It also says that 'the Father knows things that the son does not' (Matthew 24:36).....if they are both God, that is not possible either. In John 20:17 Jesus said that he was 'returning to his God and Father'....how can God be his own God and Father? On the night before his death Jesus prayed....“Father, if you want to, remove this cup from me. Nevertheless, let, not my will, but yours take place.” (Luke 22:42) How can the will of the Father be different to the will of the same God? John 1:18...."No man has seen God at any time". How many people saw Jesus? On his return to heaven Jesus still calls his Father "my God" (Revelation 3:12) Does God have a God even in heaven? And it is also said that Jesus is "the beginning of God's creation". (Revelation 3: 14) If Jesus is God, he was not created. These are just a few....there are many more. I have become increasingly apatheistic and ignostic in recent years, and increasingly convinced that so should religion. Even mainstream abrahamics. First of all, welcome to RF. As a fellow Catholic (recent reconversion-- a long story), I think that the concept of the Trinity is just that-- a concept. Now, whether it's a correct concept or not I simply do not know, nor do I lose any sleep over it as there's a LOT of things I do not know. metis wrote: "As a fellow Catholic (recent reconversion-- a long story), I think that the concept of the Trinity is just that-- a concept. Now, whether it's a correct concept or not I simply do not know, nor do I lose any sleep over it as there's a LOT of things I do not know." Some things are much more important than others. Knowing God can mean eternal life. "Father .... And this is the way to have eternal life—by knowing you, the only true God, and Jesus Christ, the one you sent to earth! "- John 17:1, 3, TLB. see the rewrite of and to the tune of the song "Above all power"
it would fill eternity to share. and roses reflecting his glory, ruined and fallen on the ground, He picked them up, breathed on them then wove into His crown. He picked me up and wove me into His crown. it would take profound mercy to show. Welcome Kim, great to.see you here. As a Baha'i I would offer much the same as what Adrian and Arthra posted, but can add that we see the Trinity as like the Sun in a mirror. God is exalted and unknowable in Essence but shines in the perfect mirror of Jesus upon all humanity in attributes. When we look at Jesus the Christ we see the perfect reflection of the Holy Spirit and thus we can say we also see God. When we look at Jesus the man, we see a man like unto us. I personally see that is sound in scripture. To me, the single most important teaching of Jesus is to love God, all people, and all of God's creation. One simply does not have to accept the Trinitarian concept in order to believe as such. It's actually not so much the "son of God" reference that's important, as all Jewish men were considered sons of God, but the "Son of Man" words, which is considered to be a messianic reference from the Tanakh. As an atheist, my feeling is that it's premature to try to decide what God's characteristics are before it's been established - or even established as likely - that God exists at all. I put it all down. Rather than pontificate, I felt that it's much more productive to just sit down and observe on terms that are not my own.